UBC Performance Swim Camp will include all facets of stroke mechanics and drills for all strokes, dives, starts and turns. The Camp will focus on the technical aspects of strokes, training, and physical conditioning. The different strokes will be reviewed, analyzed and corrective feedback will be provided throughout the week.Guests with National Swim Team experience will present at the camp. There will be two water workout sessions each day as well as related dry-land strength and conditioning workouts. In-water sessions will be complemented by on-deck and/or classroom sessions that will address a wide variety of sport performance topics. Overall, competitive swimmers will leave UBC Performance Swim Camp having refined their technique, learned new skills and feeling good about their approach to performance training. This camp will be delivered by UBC Varsity Swimming and we are proud to have Coleman Allen lead for this year. Coleman is a graduated member of the UBC Thunderbirds. 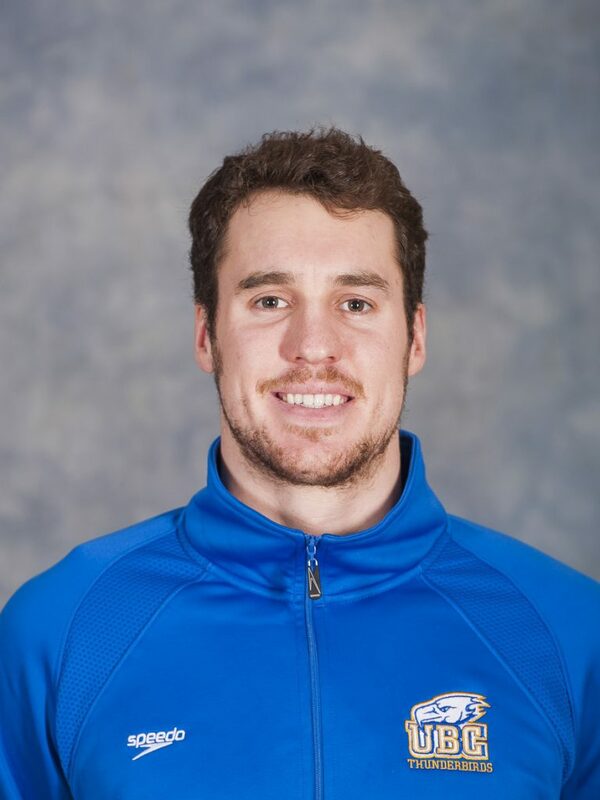 He spent 4 years competing as a UBC Thunderbird (2012-2013, 2013-2014, 2014-2015, 2016-2017) and as a member of Swimming Canada’s National Team (2012-2015) and currently holds two Senior National Records in the 50 & 100 Butterfly (SCM). Having swam under the direction of Varsity Head Coach Steve Price, Coleman is well equipped with technical knowledge and elite experience. Pre-requisite: ability to swim 100m freestyle under 1:30 min and 200m individual medley under 4 min. 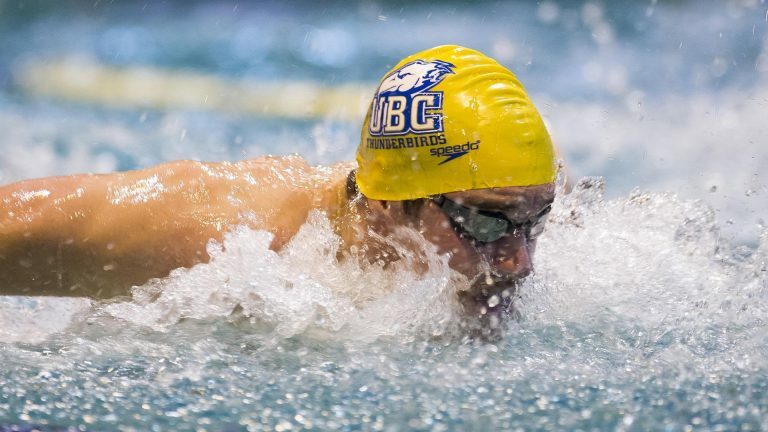 UBC Performance Swim Camps are intended for competitive swimmers only (this is not a learn-to-swim program). Anyone outside the posted age groups that meet the entry standards may contact the UBC Aquatic Center Daycamps: aquatic.daycamps@ubc.ca or 604 822 8264 to request participation in the camp. Approval will be considered but not guaranteed. The Competitive Swimming Stroke & Skills Clinic is for competitive swimmers wishing to improve targeting strokes, starts and turns.